Alex Zumbach (12) poses with his date Madalynn Burke (12) at Lightning Lanes Family Center/Captain & Tenille's Sports Bar & Grill. Promposals have been the talk of schools every spring, and each year, they become more and more creative. 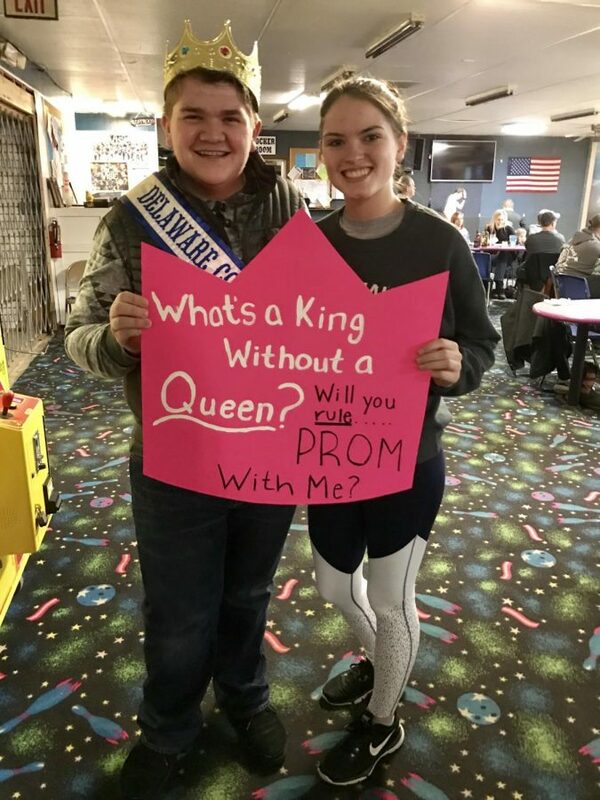 Alex Zumbach (12) asked his date Madalynn Burke (12) to prom, on Feb. 24, at the bowling alley after a show choir competition. “Even though Alex and I planned on going together, I was surprised when he asked me at the bowling alley,” Burke said. 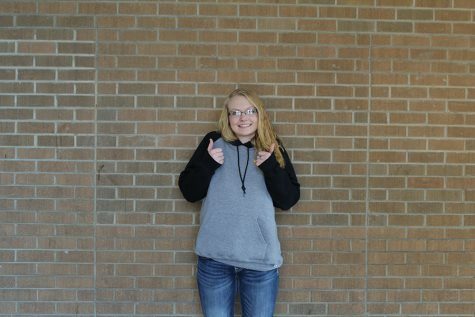 Kira Vaske (12) asked her date Jack Neuhaus (10) through a photograph. She took a photograph of a stuffed bear and a piece of paper with the word “Prom?” written on it. “I had his mom put the picture in his suitcase so he would get it when he got to Mexico,” Vaske said about Neuhaus who was going on vacation with his family. Neuhaus’ mom recorded his reaction while opening the suitcase in Mexico. She then shared it with Vaske. After sarcastically saying no on the video, Neuhaus then Snapchatted Vaske that, yes, he would attend prom with her.